My name is Devon, many of you know me as Alycia and Matt's niece. 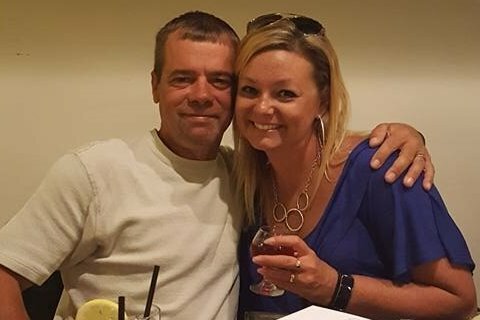 Unfortunately on March 13, 2019 his wife Alycia had received a devastating phone call that no one would want to receive, her husband Matt Howe had been in a serious accident. Matt Howe works for The New York State Department of Transportation. While on the job a tractor-trailer had struck his vehicle on the side of the highway leaving him in critical condition. Matt was airlifted to Guthrie Robert Packer Hospital in Sayre, where he remains in the ICU with plenty of surgeries and a long road of recovery ahead. Due to this unexpected tragedy this couple is going to endure a lot of financial challenges. If you could please show Matt and Alycia all of your support and keep them in your thoughts and prayers, it would be appreciated! A dedicated loving husband, father, son, uncle, brother, friend, and coworker is now gone. He is no longer suffering, rest his sweet soul. This whole situation could have been avoidable if the driver of an 18 wheeler had moved over for the DOT and followed THE LAW!! Matt went to work that morning saying goodbye, I love you to Alycia and is never going to return again. I am asking you to PLEASE share this post to spread awareness and also to help the family with these unexpected expenses. If you would not like to donate to the go fund me, donations are accepted at the VFW post 1371 located at 207 Main Street in Owego. Thank you for all that has been donated thus far, the outpour of love and support from the community has been absolutely amazing.